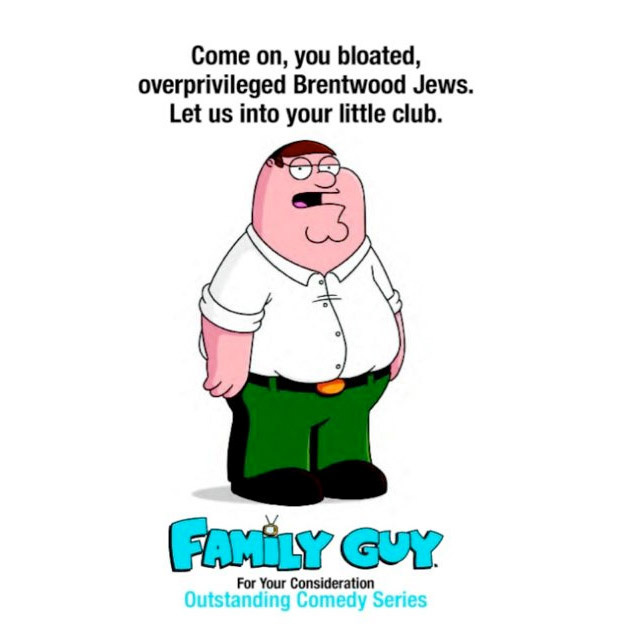 Family Guy’s Bid for Bloated Brentwood Jews. Hey, y’all. Please check out my latest piece in Heeb magazine, on Seth Macfarlane’s questionable Emmy ad. Posted in Heeb, Writing. Bookmark the permalink.